Riot is my best friend right about now. Two completely different mages in a row? Yes please! When we’re talking about art and sound, Diana is definitely one of the most ‘whole’ characters I’ve seen in a while. Her voice is absolutely perfect, lines are spot-on, model and animations look great and her second model is even better (so much so that I spoiled myself with the bundle). Also, it doesn’t have a ‘warped’ voice, which I prefer. I mean, it works for Jayce and Draven’s second model, but you can’t really add any effects that scream valkyrie. Anyway, the designers definitely nailed the detached, vicious feeling they were aiming for. 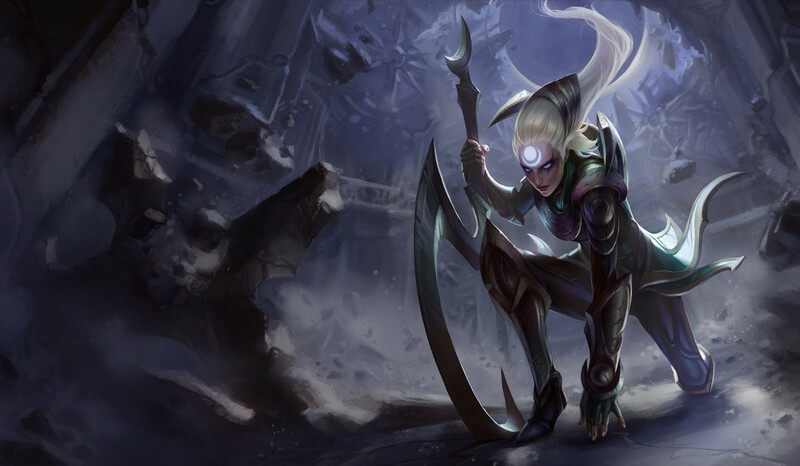 Gameplay-wise, Diana is very… Slippery isn’t the right word, but she’s definitely an assassin. Jump in, kill something, jump out. Repeat as necessary. Although, I’ve gotta say she might be able to work as a tank if you’ve got the right runes and masteries. She’s fairly tanky with her Pale Cascade and she can pull in, slow, and reveal enemies with her other non-ultimate abilities. Again, this is all just theory, but it may work. I’ve played her in both the lane and jungle and I’ve gotta say, she’s most certainly at her best in the jungle. Her shield gives her some nice survivability for early levels, her passive deals tons of damages and helps wipe out camps like crazy. Stonewall008 said it best in his Team Battle Diana video: She just keeps getting faster and faster at clearing as the game goes on. Her ganking isn’t too special until she gets her ultimate unless you’ve got some kind of hard CC. She really doesn’t have a way to catch someone, outside of a short-range pull with a bit of a slow, until then. As far as building her goes, Diana was my first AP jungler so I took Stonewall’s runes and masteries. Starting with boots and three potions is more than enough survivability and an early Doran’s Ring or so definitely helps with mana issues. After that, build what you need. You can grab an early Rylai’s for a more reliable slow, Rod of Ages for a bit of everything, or Rabbadon’s Deathcap on the off-chance that you just hate everyone on the other team. All in all, Diana is surprisingly fun. Like I (probably) said, I wasn’t too terribly excited because ‘oh, it’s Leona meets Akali with a weird forehead tattoo.’ I really like being wrong sometimes. She’s tankier than people like Akali or Fizz (shields are useful like that) and she can’t slip away as easily, but if you like jumping around a fight or just want an interesting take on a mage, definitely give her a shot. If you’re not too fond of assassins, though, wait until free week. As always, thanks for reading and have a good’un. 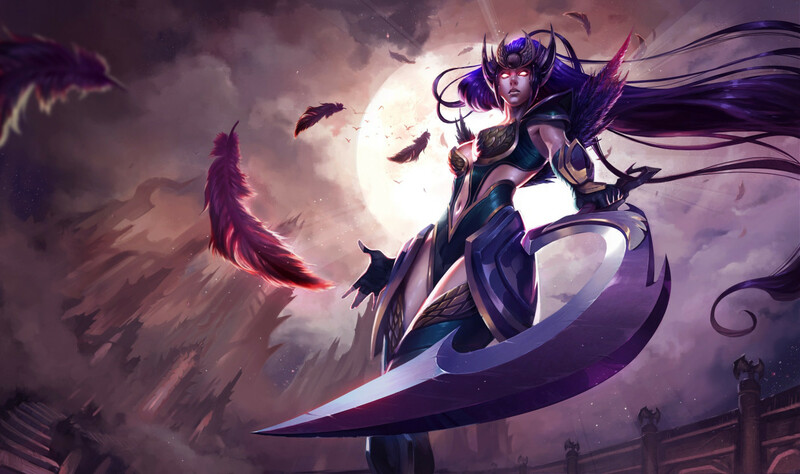 This entry was posted in League of Legends, Review, Video Games and tagged diana jungler, diana league of legends, diana lol, diana scorn of the moon, league of legends champion impressions, league of legends new champion. Bookmark the permalink. I am expecting her to be nerfed. She seems too strong. If nothing else, the Q will probably be changed someway. I could see a reduced damage mechanic if it hits more than one thing (probably with the exception of neutral mobs) if not a straight numbers change.